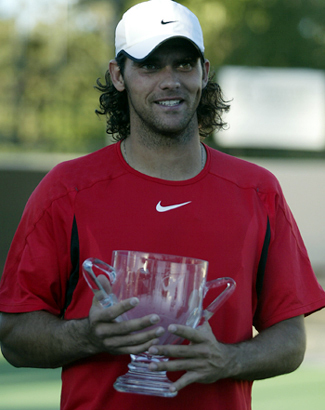 Calabasas - Mark Philippoussis (AUS) wins his 2nd title in 2006 at the $50,000 Calabasas Challenger defeating Amer Delic (USA) 6-7, 7-6, 6-3. Robert Kenderick (USA) and Cecil Mamiit (PHI) defeat Harel Levy (ISR)/Sam Warburg (USA) 5-7, 6-4, 10-5 to take the Doubles Title. Hosting the tournament is the Calabasas Tennis & Swim Club run by Top Seed Tennis Academy. Tuesday night, Top Seed Academy hosted USTA/WTT league Night. 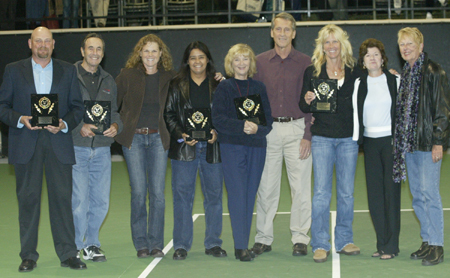 Tennis community leaders were recognized for their dedication to tennis in the San Fernando Valley. Community leaders receive recognition from Top Seed Tennis Academy: (L to R) - Jeff Richards, Bob Isenburg, Nancy Abrams, PJ Rivera, Janine Smylie, Dean Smylie, Linda Beisswanger, and Joanne Foley. Irvine, CA - The 14th Annual Advanta/World Team Tennis Smash Hits to benefit the Aids Services Foundation Orange County and the Elton John Aids Foundation returned to Orange County September 14. The event was held at the Bren Center on the Campus of UC Irvine, and was co –hosted by WTT founder and USTA National Tennis Center namesake Billie Jean King and music legend Sir Elton John. Playing a World Team Tennis format on teams captained by the hosts were tennis superstars Pete Sampras, Andy Roddick, Anna Kournikova and Rennae Stubbs. 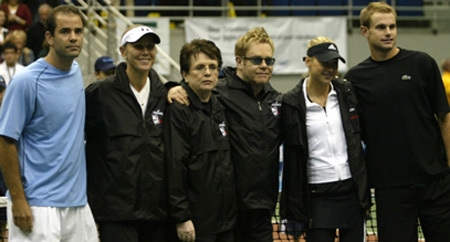 Sir Elton John displayed his tennis prowess when he teamed up with Andy Roddick in an entertaining twist on mixed doubles against Anna Kournikova and Rennae Stubbs. Spectators behind the baseline were given baseball gloves to shag Roddick’s fast ball serves (for the few aces that the ladies allowed), but it was John’s forehand that did the most damage. The match was followed by mixed doubles with Roddick/Kournikova against the team of Sampras/Stubbs. The feature match of the evening was a server’s dual between the 14 time Grand Slam champ Pete Sampras and 2006 U.S. Open runner-up Andy Roddick. Sampras showed he still had a wicked serve and volley combo, taking the two WTT format sets 5-3, 5-3, and secured a 10-15 victory for team Billie Jean King. This was Roddick’s last stop on his way to the United States Davis Cup match in Moscow against Russia this week. 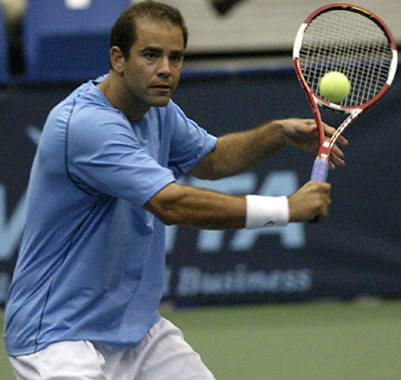 Sampras made his pro tennis comeback this summer, playing WTT for the Newport Beach Breakers, and has been a great supporter of WTT Smash Hits throughout his career. The evening began with a VIP reception and live auction, which featured hot bidding for Billie Jean King’s 2007 U.S. Open and Wimbledon box seats and a signed Sir Elton John piano bench. Including the $184,000 netted from the auction, the event’s proceeds topped $350,000, which will go directly to community based AIDS support and prevention programs. 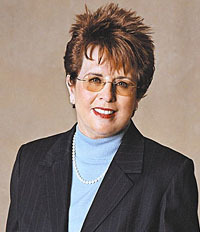 Los Angeles, CA – Tennis legend Billie Jean King will return to California State University, Los Angeles Saturday, Sept. 30, to demonstrate that—whether it’s tennis, fighting for equality or supporting student-athletes’ success at her alma mater—she serves with vigor and passion. Real tennis fans go to the Home Depot Center in Carson...and with this Sunday's final they were not disappointed. The JPMorgan Chase Open final match between Elena Dementieva (RUS) and Jelena Jankovic (SCG) was a treat for all tennis fans. In fact, if you were not a tennis fan, you definitely are one now. Elena Dementieva of Russia remained calm and focused in her 6-3, 4-6, 6-4 win over Jelena Jankovic of Serbia. She needed all her fitness and persistence as Jankovic, with a game very similar to her own, courageously fought for every point. 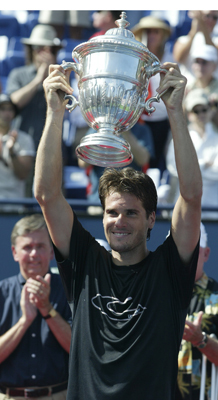 The points were often deep, long baseline rallies which gave the crowd time to invest in each player. Dementieva was clearly the more fit player. She hit with speed and precision to take the first set. Jankovic gained the favor of the crowd in the second set when Dementieva tried a drop shot and Jankovic was able to reach it for a winner. Jankovic would have spurts of aggression only to lose the next couple points. Throughout the match, Dementieva appeared confident and calm. At the beginning of the third set Jankovic was treated for the heat. At 0-5 in the third. 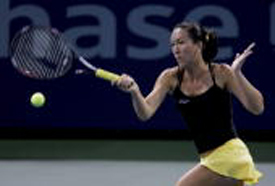 Jankovic appeared revived and was able to win four more games to 4-5 before Dementieva finally claimed the title. The match took two hours and 23 minutes. The heat was a factor and the players iced themselves on every changeover. In her interview, Jankovic said about Dementieva, "She is really fit. One of the better fit on the tour. I need to improve my fitness so I can play these long matches". When asked about the US Open, Jankovic stated "I think I can do damage. I believe in myself". On the road to this final, Jankovic took out Samantha Stosur (who beat Lindsay Davenport in the first round) and then Serena Williams in the Semifinals. Her ranking will rise to #21 after this week. About Dementieva, Jankovic said "Elena is used to people attacking her serve so she is ready to defend it. I was expecting her to double fault more but she didn't." Dementieva, currently ranked #6 on the Sony/Erickson WTA Tour, has always been coached by her mother but is now being coached by her brother. "I feel like I'm just getting to my best game." she stated. "This is really an amazing feeling to win a title." she said, "For sure we will celebrate this win." 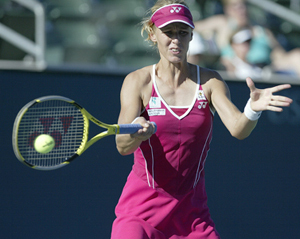 When asked about her fitness, Dementieva responded, "I could play best of five sets." When I am playing, I only feel the fatigue after the match." 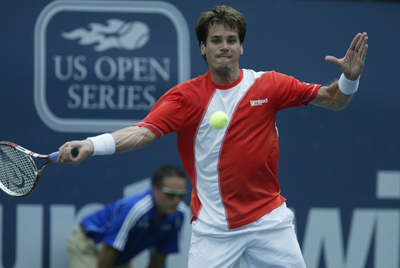 About playing in Los Angeles, "I always have great results playing here." She is going to take a break and skip Montreal, but is scheduled for New Haven and then the US Open where she will definitely need her best game. The Home Depot Center is an outstanding tennis venue. The intimate seating allows the crowd to feel as though they are almost participating in the match. The fans were roaring after some of the long points. Even though the expected main entrants like Sharapova and Williams did not make it to the end, the stadium was full and the tennis was memorable.. Copyright � 1998-2009 www. californiatennis.com All rights reserved.